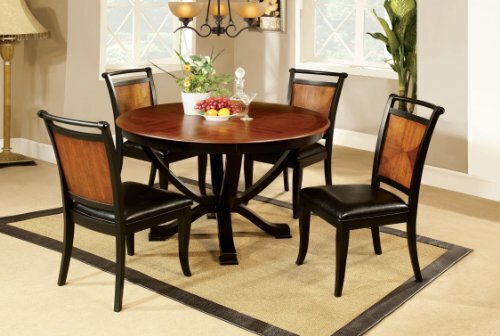 Sit around this circular table that features a beautiful duotone finish. A complete solid acacia wood top with semicircle designs is set atop a sleek black pedestal base. Crafted from solid wood and wood veneer, the curved lines of the base meet near the bottom before flaring out once more to enhance the durability and stability. Cleaning is quick and easy; simply use a slightly damp, non-abrasive cloth to wipe down when needed. Some wood protectants may be used but please use at your own discretion. We highly recommend not using any harsh chemicals that may damage the finish. Manufactured in Vietnam, some assembly required. Table dimensions: 48" Diameter x 30" High. 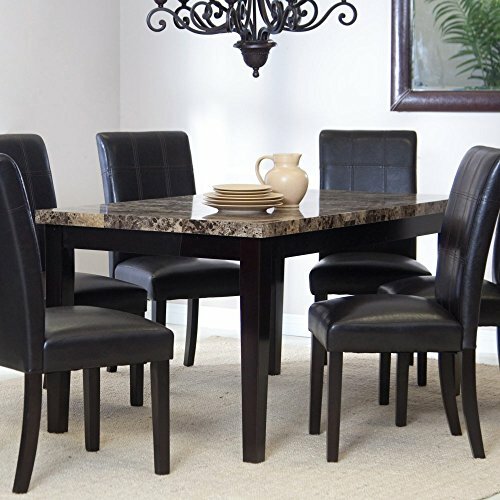 Every meal will be more elegant when eaten at the Palazzo Dining Table. Its solid wood frame and legs promise this table will withstand hundreds of dinner parties, while its faux marble veneer top, covered in a protective lacquer finish, ensures it will look beautiful for every one of them. Finished in a rich espresso color, the table coordinates with most decor styles and looks beautiful in your kitchen or dining area. 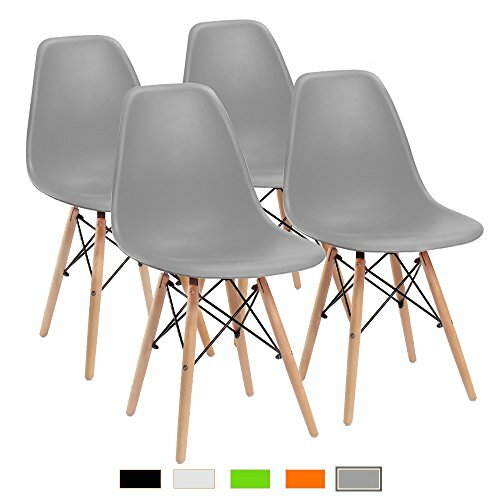 Just add four or six of your own chairs. Table dimensions: 60L x 36W x 30H inches. 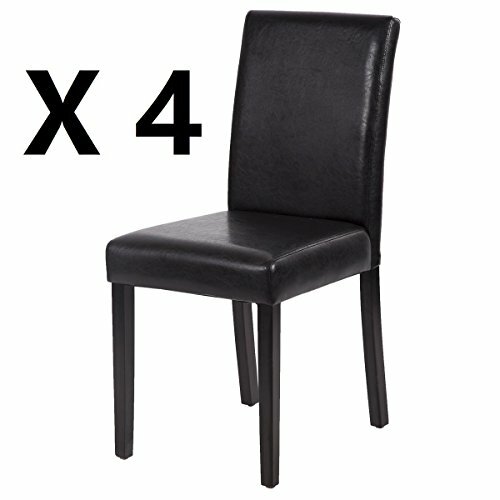 This item is the dining table only, please view ''related items'' for matching chairs or a complete set. Table dimensions: 60L x 36W x 30H inches. Contemporary-style solid wood dining table. Faux marble tabletop. Covered in a lacquer finish for protection. Solid wood frame and legs. Finish in dark espresso brown coordinates with any decor. Table only, chairs not included. Ideal for kitchen and dining area spaces. 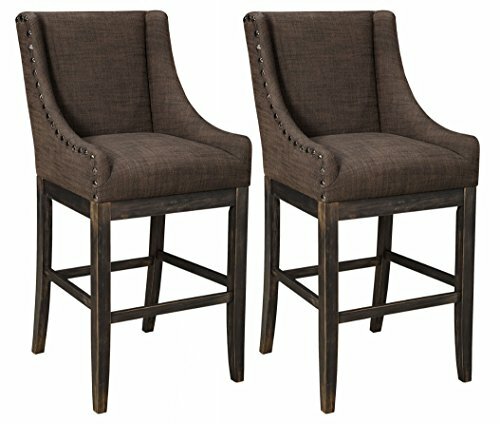 Sporting a sumptuous wingback design with lovely sloped arms that go with the flow, Moriann pub height upholstered barstool is dressed to impress. No accident that the textural upholstery is a perfect complement to the richly distressed wood frame. And the nailhead trim in a matching bronze-tone finish? Just the subtle punch needed to complete this high-end look. Merax has been always devoting itself to delivering the best products of high quality and cost-effectiveness to our customers. 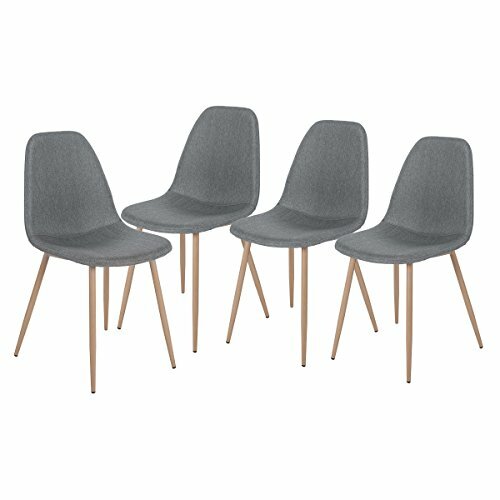 Our only pursuit is to meet our customers’ all kinds of demands no matter how hard it is to fulfill.Our Merax Dining Chairs complete with a timeless design that can enhance a variety of dining room arrangement.Product Specifications:Single item dimensions: 17.8Lx14.2Wx33.8H inchesSeat size: 17.5W×15.3D inchesSeat height: 15.7 inchesWeight capacity: 225 lbs.Notice:Items may slightly differ from photo in terms of color due to the lighting or your monitor's display.Measurement error may exist due to manual measurement.Contact us when meeting difficulties on installation or any other problems, and your email will be replied within 24 hours. 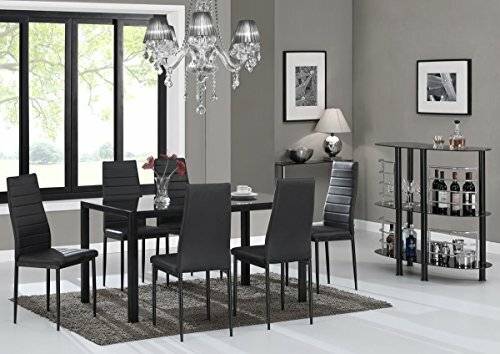 Looking for more Complete Dining Room Set similar ideas? Try to explore these searches: Low Fat Organic Brown Rice, Natural Gas Control, and Spectator Saddle. 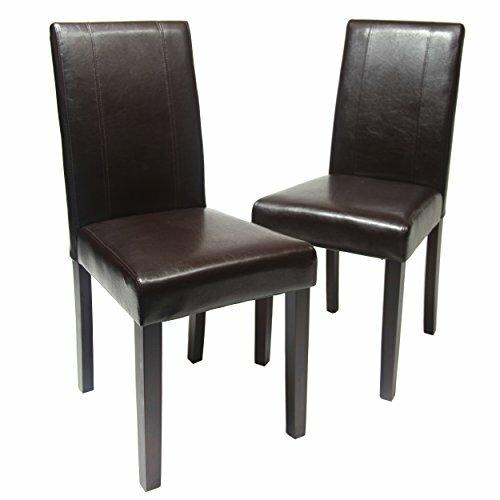 Look at latest related video about Complete Dining Room Set. Shopwizion.com is the smartest way for online shopping: compare prices of leading online shops for best deals around the web. 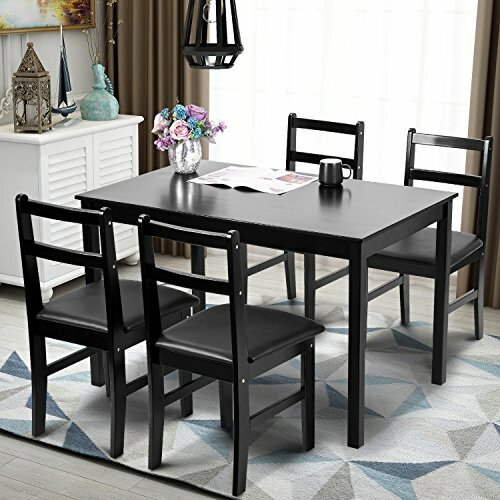 Don't miss TOP Complete Dining Room Set deals, updated daily.